ENDA KENNY IS considering the possibility of appointing a senator to the Cabinet if he is still Taoiseach after the next general election. Kenny floated the idea, which he says he is giving “serious consideration” to, during a briefing with political correspondents before Christmas. He also raised the possibility of an equal number of male and female ministers being appointed to the next cabinet. “I’d like to think that we could have a situation based on merit, either way now, that you’d have an equal number of men and women in that Cabinet, seven of each, and if I’m elected myself, to be Taoiseach of that. 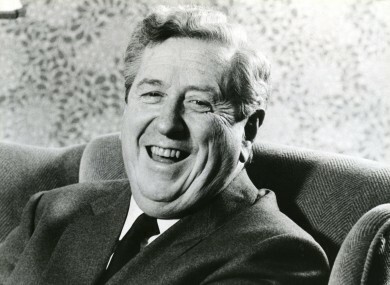 Such an appointment from the upper house, which Kenny campaigned to abolish in 2013, would be the first since one of his predecessors as Fine Gael leader, Garret Fitzgerald, appointed James Dooge as foreign affairs minister in 1981. Dooge served at Iveagh House for less than a year before the 1982 general election was called. Though he was returned to the upper house, he was not reappointed to cabinet. The possibility of a senator being appointed to cabinet was floated during the last round of cabinet reshuffle speculation when it was suggested that Labour would promote its leader in the Seanad, Ivana Bacik. Email “Enda Kenny might appoint a senator to the Cabinet*”. Feedback on “Enda Kenny might appoint a senator to the Cabinet*”.